The tax year is nearing its end and one has a lot on the plate to address in terms of planning to optimise tax liability. It is an opportune time to start collating the tax proofs and, if required, to make certain tax saving investments.While doing financial planning, it is imperative to keep in mind the key changes which were introduced in this year’s Union Budget. Change in tax slab: This year tax slabs did not change vis-a-vis last year; the lowest tax rate continued at 5 percent and the maximum was retained at 30 percent. However, Secondary and Higher Education Cess of 3 percent was replaced with a 4 percent ‘Health and Education Cess’, with the objective to address the education and health needs of poor and rural families. As a result, the maximum marginal rate of tax for the tax year 2018-19 increased to 35.88 percent versus 35.535 percent in the preceding tax year. Re-introduced the standard deduction: This year the government reintroduced the “standard deduction” of Rs 40,000 which was abolished in the Finance Act 2005, for the salaried income group. It is applied as a deduction from gross salary to calculate income under the head ‘salary’. Standard deduction has replaced two tax-exempt allowances, i.e., transport allowance of Rs 1,600 per month and medical reimbursement of Rs 15,000 per annum, which were available to employees in the previous fiscal year. For employees who were earlier availing the benefit of transport allowance and medical reimbursement, the net reduction in taxable salary post introduction of standard deduction is of Rs 15,800. Changes in NPS: The National Pension Scheme (NPS) has gained much focus from the government over the past few years due to efforts to make it favorable for investors. This year the government extended the benefit of tax-free withdrawal up to 40 percent of the total amount payable on the closure of the account or on opting out of the scheme to all subscribers. 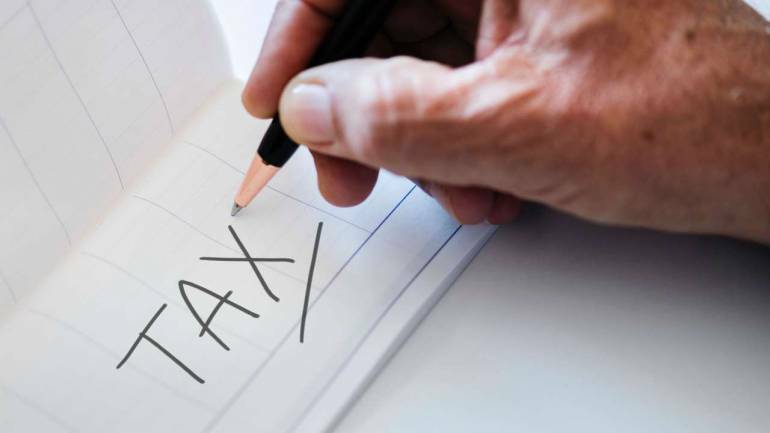 Tax on LTCG: Another important change this year has been bringing long-term capital gains in excess of Rs 1 lakh, arising from the transfer of equity shares, equity-oriented mutual funds and unit of business trust where securities transaction tax has been paid, under the tax net. Unlike long-term capital gains arising on other assets, no benefit of indexation will be available against such gain. Individuals having capital gains income should pay their tax liability in time, through advance tax mechanism, to avoid interest pay-outs on account of delay in deposit of tax. Investors also need to bear in mind that the deduction from long-term capital gains available under Section 54EC of the Income Tax Act, 1961, has undergone a change this year. The deduction was available in case of transfer of any long-term capital asset till last year. Effective this year, deduction under this section is restricted to transfer of land and building only. It is important to note that exemption under this section is available for investment in bonds issued by National Highways Authority of India (NHAI) or Rural Electrification Corporation Limited (REC) or any bond as notified by the central government, issued on or after 1 April 2018, and redeemable after five years. Tax benefit for senior citizens: Additionally, substantial changes have a bearing on the senior citizen population, with the government offering quite a few sops to them. This year senior citizens have some changes to keep track of which can help in bringing down their taxable income. They can avail a higher deduction of Rs 50,000 in respect of interest income earned by them from deposits held in banks, post offices, and co-operative banks. At the same time, threshold limit for deduction of tax at source on interest income for senior citizens has been raised from Rs 10,000 to Rs 50,000, to take care of their cash flows. Senior citizens can also avail a higher deduction of up to Rs 50,000 for payment of health insurance premiums. Till last year, the deduction was restricted to Rs 30,000. With medical facilities in India becoming expensive, the increased deduction will motivate senior citizens to take higher insurance cover, which can help meet their expenses in times of need. In addition to above, the limit of deduction with respect to expenditure incurred on medical treatment of specified diseases (e.g. malignant cancers, chronic renal failure, haematological disorders, etc.) in case of senior citizens, has been increased to Rs 1 lakh. Deduction available until last year was Rs 60,000 in case of senior citizens and Rs 80,000 in case of very senior citizens. The above changes have an important bearing on the taxable income of individuals. Hence, due attention needs to be given to them before making any investments. Judicious utilisation of tax saving avenues provided under the statute is the best way to increase post-tax income.